Who needs a fairy godmother when you've got a doctor with a knife? 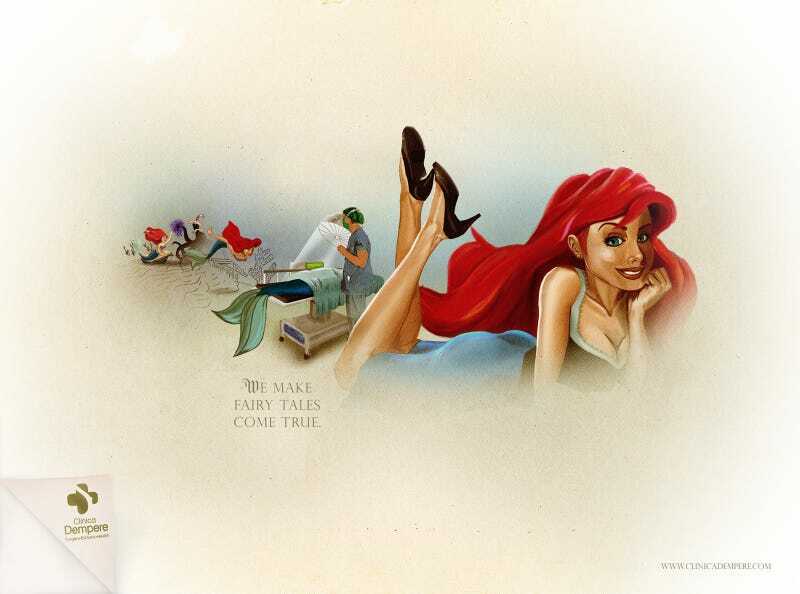 Venezuelan ad company ZEA BBDO is ready to lure all the kiddies into the operating room with these fairy-tale-friendly, straight-up Prince Eric and Ariel rip-off ads for plastic surgery. Horrifying? Indeed!